And then later in a sitdown interview with CSN Bay Area, Kelly dropped one heckuva quote that may or may not have been a subtle shot at his former team in Philly. 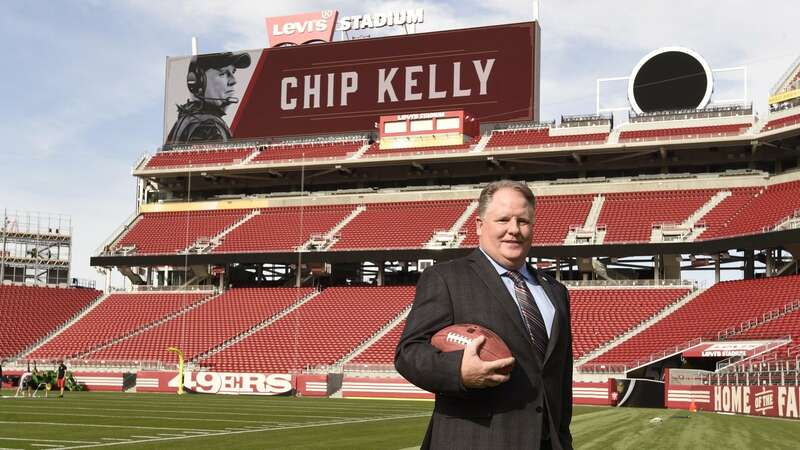 Kelly: "When I looked at this organization, obviously I was let go in Philadelphia, and I looked at what was available out there and when someone could tell ya, you know, when you fall out of a boat sometimes you land in crap and then sometimes you land in San Francisco. For me, it was the best opportunity out there. I’ve had great admiration for this organization from afar." That quote makes no logical sense. Could "falling out of a boat" mean getting fired in Philly, and landing in crap mean getting a bad second job? Possibly. Or it’s the best indirect mic drop a coach has ever made. Who knows what it actually means. Either way, it’s great to still have Chip Kelly in the NFL.